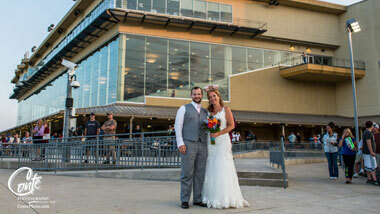 Overlooking the spectacular Blue Mountains and located in Grantville, PA, just minutes away from Harrisburg and Hershey, PA, Hollywood Casino at Penn National Race Course offers a unique experience that will have your guests talking for years to come. 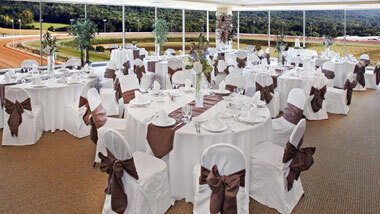 Hold your club, event or business function at our thoroughbred racetrack overlooking the picturesque Blue Mountains. Take advantage of our 6,500 square feet of unique and flexible event space. Looking for a more casual affair? Consider a reception on our outdoor patio. We offer a unique opportunity to host a private event within our on-site restaurants. You can also relax and let us plan your event. Our experienced staff can help with menu selection, facilitating the event, and decorations. 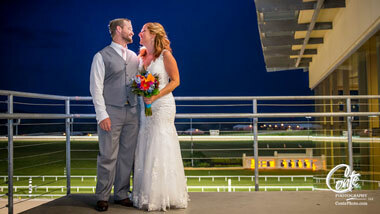 Our experienced team at Hollywood Casino will help you build the wedding of your dreams, with our professional staff handling every detail. We’ll help you create and customize an exclusive event that will make for a lifetime of memories. Planning to cater your event? We offer a wide variety of food and drinks all made on-site by our expert culinary staff. We offer a variety of options, from break packages to breakfast, lunch and dinner buffets and even plated entrees, beverage service and hors d’oeuvres. We can even accommodate special dietary restrictions and needs, and help you develop a custom menu.